Ever dreamed of an east coast Australia Road Trip? Ever wanted to see miles and miles of clear white beaches, maybe dive or snorkel the Great Barrier Reef and go surfing, snorkeling and sailing all within the same afternoon? Australia’s east coast is one of the most diverse ranges in the world with everything from tropical rainforests to rolling plains to superb beaches and even mountains and all are within a short drive of Australia’s rugged outback. With plenty to see and do, Australia has something for everyone. Interested in fauna and love cute things? 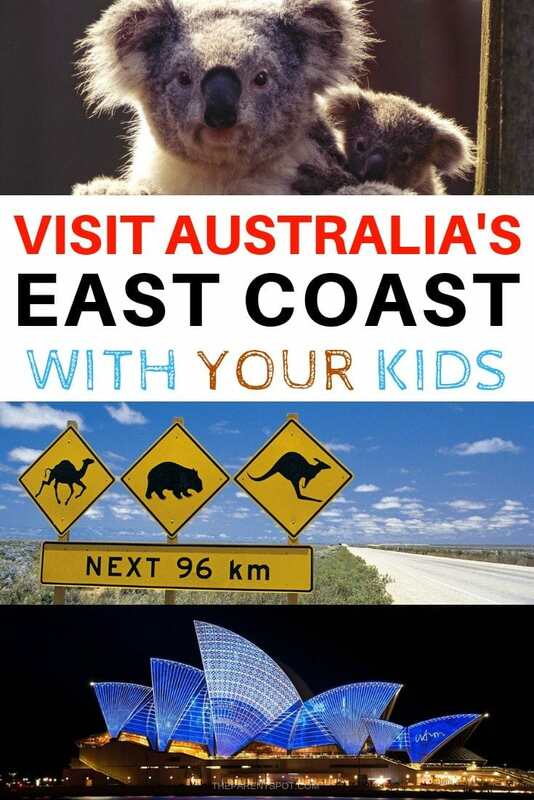 From koalas and kangaroos to unbelievably cute wallabies and the mysterious platypus, Australia has you covered and you can see all of them along Australia’s east coast. Prefer the scarier things? Australia has that as well with everything from huge saltwater crocodiles up north to great white sharks down in the south with poisonous snakes, huge spiders and box jellyfish spread out for good measure. That being said, Australia is still considered on of the safest places in the world. Whether you’re going to Australia to meet its friendly people, to explore it’s hidden underwater world or to simply take in it’s sunshine filled beaches, sand covered islands or it’s rolling hills inland you’ll find Australia’s east coast an amazing destination. We spent 6 months touring Australia and during that time also traveled from the tropical rainforests north of Cairns in Queensland right down to the world class metropolitan city of Sydney and it was easily one of the best roadtrips we’ve ever taken. Whether we were enjoying Australia’s many big things, touring the beautiful Whitsundays on a catamaran, spending a weekend on Fraser Island, the largest sand island in the world, or diving on the Great Barrier Reef, the largest reef in the world, the entire trip was memorable to say the least. While we bought a van to tour the island continent, most people rent a car to drive along Australia’s east coast. Since the country is so big, having a vehicle is the best way to see Australia and you can get great deals for long term rentals there. Traveling the East Coast Trail, the route starting from Cairns and ending down in Melbourne, is almost considered a right of passage in Australia and you’ll find locals as well as people from around the world while you make the trip up or down. With numerous cheap flights daily from Sydney and Brisbane (the two most populous cities on Australia’s east coast), flying up to Cairns or Townsville and then renting a car to drive back down is one of the easiest ways to get your Australian east coast road trip started. Both cities offer beautiful international airports so getting to either is as simple as booking a ticket. If you want to start further south, you can also begin or end your journey in beautiful Melbourne. If you don’t have a month to do the trip slowly, another option is to hop between cities by plane and then rent a car to check out the local sites for a few days. At over 4000 km from Cairns to Melbourne, that’s over 50 hours of just driving so you have been warned. There are literally hundreds of amazing things to see and do on an Australia road trip. From wacky pit stops to some of the most beautiful beaches you’ll see anywhere in the world, the options are endless. That said, here are just a few of our favorite east coast Australia activities starting in the north and working your way down Australia’s east coast to Melbourne. With this you should be able to build an east coast Australia itinerary on the best things to do Australia. In Port Douglas, check out the Daintree rainforest, the oldest rainforest in the world, estimated at 180 million years old. In Cairns, dive the Great Barrier Reef or go white water rafting on the Tully River. While in Cairns, you should also check out the Atherton Tablelands complete with natural waterholes and beautiful waterfalls. If you’re lucky, you can spot a rare wild platypus and maybe even a giant blue cassowary in the area as well. In Townsville, check out the beaches and the relaxed vibes of The Strand or hit the hiking trails around Castle Hill. 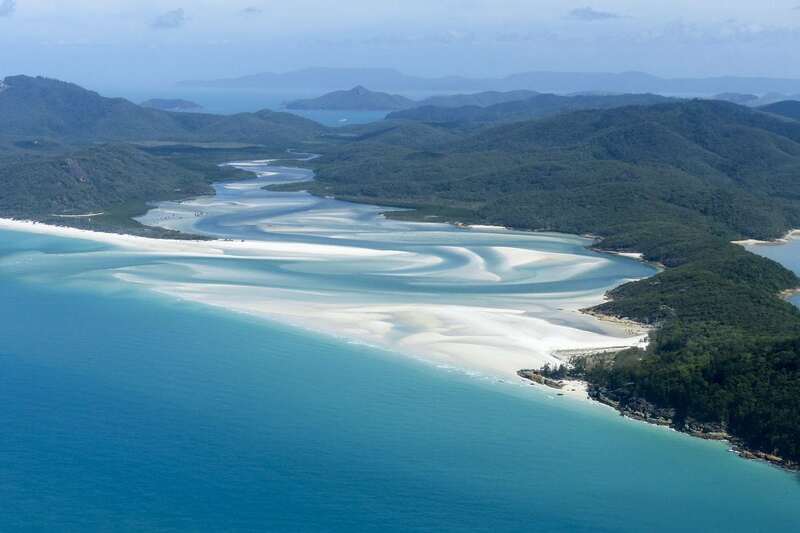 In Arlie Beach, jump aboard a catamaran and sail the beautiful Whitsunday Islands for a few days and see some of the nicest beaches on the planet. In the Town of 1770, relax in a chill little town in the middle of nowhere and take the infamous Scooteroo Tour where you get to dress in Harley Davidson leathers and grab a motorcycle and go searching for kangaroos and other local wildlife. 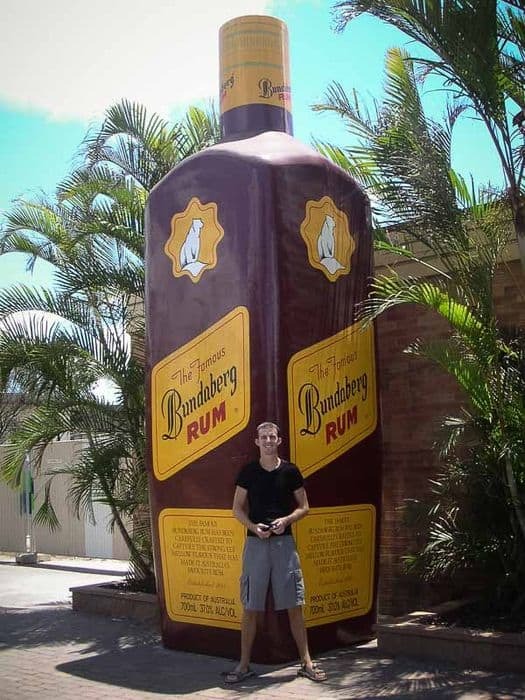 In Bundaberg, take the yummy Bundaberg rum distillery tour and learn about one of Australia’s oldest distilleries. It started way back in 1888 and gives you a great backstory of Australia’s sugar cane history. In Hervey Bay, go on a day long whale and dolphin tour. In Noosa, take a ferry across to sandy Fraser Island (the largest sand island in the world) and enjoy an offroad 4×4 weekend while getting closer to nature and sleeping directly on one of the longest continuous all sand beaches in the world. On the Sunshine Coast, enjoy amazing beaches and check out Steve Irwin’s Australia Zoo. 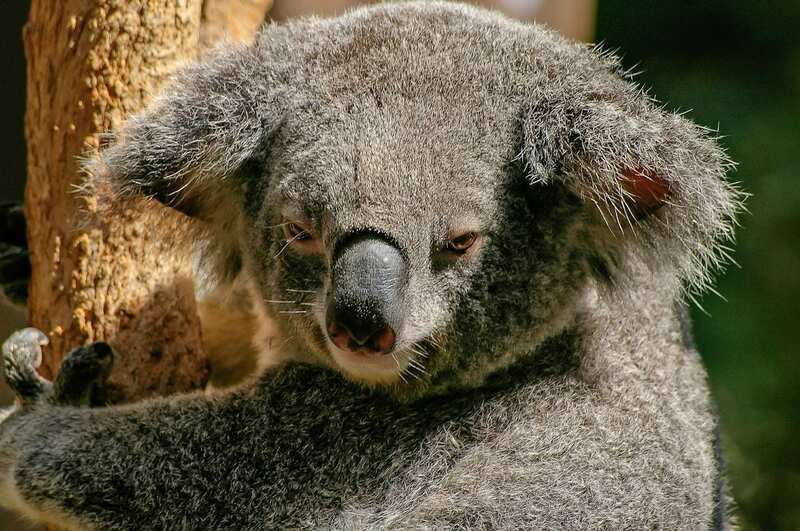 In Brisbane, jump on the Red City Hopper Ferry and take in the sights along the Brisbane River before visiting the Lone Pine Koala Sanctuary to get your koala cuddles on. In Byron Bay, hang out in the colorful hippie town of Nimbin or check out the many beautiful lighthouses that stand guard in the area. On the Gold Coast, go surfing in Surfer’s Paradise and enjoy some of the Australia’s best nightlife. 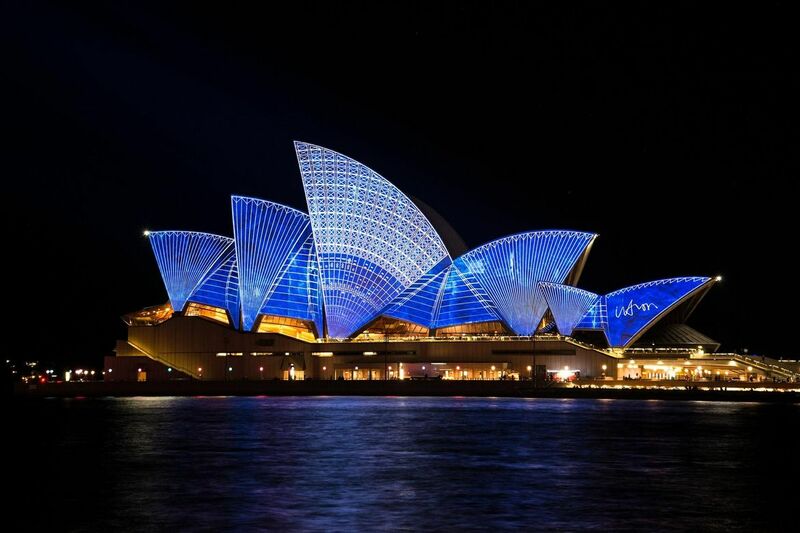 In Sydney, hang out on Bondi Beach, take one of the many ferries across the bay and walk along the harbor front to see the Sydney Opera House and then climb the Sydney Harbour Bridge. In Melbourne, check out the sights from the top of the Eureka Skydeck and take a tour along the Great Ocean Road and see the Twelve Apostles.